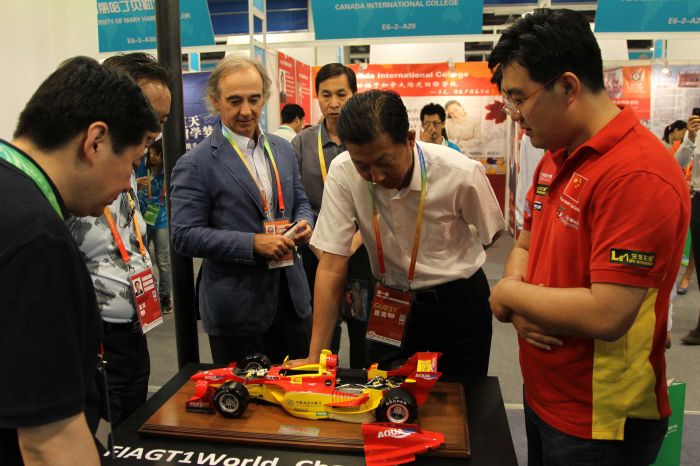 From 28 May through 1 June, 2014 at the China National Convention Center in Beijing, the China Sports Industry International (CSII) is hosting an event that has wide-ranging sports, business and cultural entrepreneurial opportunities. If you have an idea or business that can impact the Sports Techie community and beyond, the CIFTIS-Sports, Republic of China government-led non-profit event, is a one-of-a-kind chance to speak directly with worldwide sportsbiz visionaries and decision-makers who can assist with making your sports tech concept have wings. The Sports Techie community blog sends our virtual gratitude to Nathalie Zhang, Senior Project Manager, for sharing event information about this game-changing global engagement; CSII is the organizer of CIFTIS-Sports and Sports Sector of China. 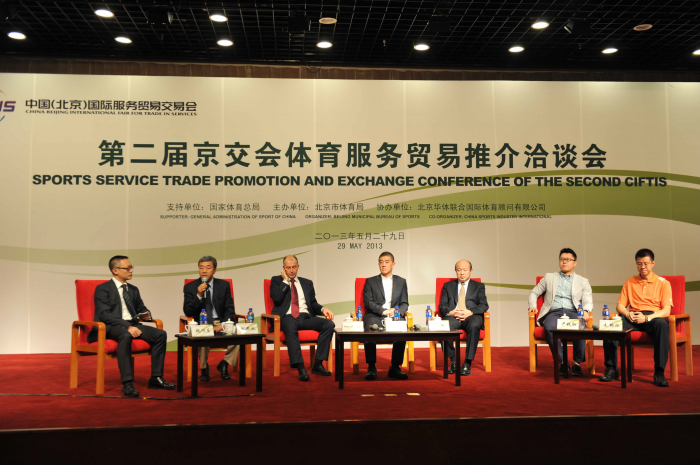 Approved by the State Council of the PRC, hosted by the Ministry of Commerce and Beijing Municipal People’s Government, China (Beijing) International Fair for Trade in Service (hereinafter referred to as “CIFTIS”) currently figures as a state-level, international and the only comprehensive trading platform in the world covering the 12 sectors of trade in services defined by the WTO. As an important sector of CIFTIS, CIFTIS-Sports has exclusive decision-maker network resources in the sports industry. This five-day exhibition platform will give you the opportunity to showcase your products and services to one the world’s fastest growing regional markets. A combination of exhibition, conferencing, networking, and workshops, CIFTIS-Sports has established itself as the region’s leading sports services event, resulting in the signing of numerous high level contracts. Whether you are in the business of sports services or looking to get involved in the industry, CIFTIS-Sports is the ideal opportunity for you. Using sophisticated technology, CITFIS-Sports takes advantage of a business networking solution that will match and introduce suppliers and buyers. With dedicated meetings rooms available CITFIS-Sports offers scheduled meetings and the chance to network with industry executives. Over 150 domestics and overseas famous media representatives processed tracking reports and interviews to related activities in the previous two exhibitions and conference. The organizing committee can provide tailor-made service such as press conference, product launch for exhibitors. Through means of CITIFIS-Sports international media resources, potential income will be brought to the customers. Exhibitors’ information and related projects information will recorded into a pamphlet, available for more than 10,000 viewers and relevant organizations and sports industry professionals each year. By making a monthly e-newsletter, supply and demand information of the participated enterprises will be published preferentially and email to more than 2000 sports service trade institutions around the world. The organizing committee will have specially-assigned person tracking the signed contracts and potential cooperation projects. Why Go To CSII 2014? Through the use of B2B meeting rooms, exhibitors can hold private discussions with key stakeholders from the world’s sports industry. The amazing incentives to attend are many including the opportunities to exhibit or participant for free because booth rent expense will be paid by the organizers. During the exhibition in 2014, sports events, related services (the sports intermediary, sports marketing, sports media, sports insurance, legal services, etc. 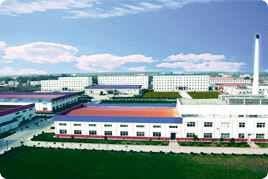 ), sports tourism and training institutions, sports innovation of science and technology service enterprises are invited. In the past two sessions, CIFTIS-Sports arranged over 80 business-to-business meetings between exhibitors and key organizations within the sporting industry and has generated proven results for exhibitors’ deals. Including the Supercopa de Espana’s coming to China, the American football joint development project, and the 2014 FIA Formula E Championship China event. More than 20 projects have been established on the platform, with the contract amount exceeding $380 million. In 2013 there were 45 sports service institutions from 13 countries who enjoyed the chance to showcase their excellent service products, which drew the attention of almost 10,000 professional spectators. Sports bureau groups from 16 provinces and cities in China came here hunting for high quality projects. CSII has five departments respectively responsible for the exhibition & conference activities, international business, public relations, and marketing. If you have specific intent to purchase, the CSII will provide any Sports Techie community member or not wishing to attend with 4 days of free accommodation in Beijing during the event. If you are CEO or President of a fortune 500 company, they will provide you with 4 days of free room and board. 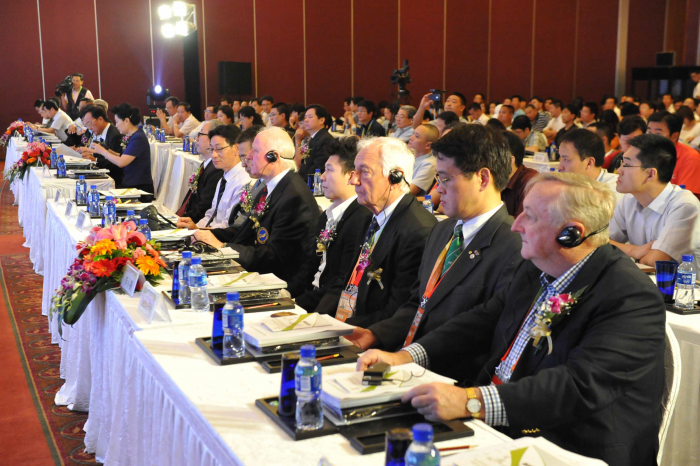 If you are a global or intercontinental sports league association leader, look forward to 4 days of free room and board as well as your roundtrip airfare to Beijing in economy class. And perhaps the best reason to consider for some of you is you will be putting this on your agenda in order to speak about your 2014 success story in the year 2015. If you participated in the previous CIFTIS-Sports and reached a deal over $10 million USD, you are receiving 4 days of free room and board, as well as roundtrip airfare to Beijing in economy class. The CSII has an impressive list of rain-making Partners to consider. International Cycling Union, Major League of Baseball, National Basketball Association, National Football League, National Hockey League, Tour De France, America’s Cup Yachting Competition, FA Premier League, Italian Series A, German Bundesliga. Established in 2003, China Sports Industry International Co., Ltd. (CSII) is a wholly-owned subsidiary of China National Sports Group (CNSG) held by the Chinese Olympic Committee and General Administration of Sport of China. CSII is an international and comprehensive commercial corporation specialized in sports services. CSII has rich experience in providing sports marketing, large-scale exhibitions & events planning and implementation for Chinese government departments, institutions and enterprises, and in providing PR and marketing services for global brands and sports events to enter the Chinese market. Beijing International Culture & Creative Industry Expo. Sports Techie, Whittier College Poets know that President Nixon’s trip to China in 1972 ended twenty-five years of isolation between the United States and the People’s Republic of China (PRC) and resulted in establishment of diplomatic relations between the two countries in 1979, and now you do too if you did not know. Here we all are in 2014 and for the first Sports Techie blog of the Chinese Year Jia Wu (Wood Horse) which happens to be my sign; I have the privilege to inform the global Sports Techie community about this prestigious Chinese sport business event. The organizing committee will hold a signing ceremony for companies who reach their cooperation intention during the conference, and a business communication meeting will follow. The whole process of the activities will be reported live by well-known sports and financial media. The organizing committee will set up a match-making zone near the main forum, so that the high efficient communication between the two sides of supply and requisitioning parties will contribute to pragmatic cooperation during the meeting. For the Sports Techie who will invent a portable and solar treadmill usable in rainy Seattle, sell interactive fitness gear that is waterproof, and market useful sports tech products or apps to the good people of China to help stay in top fitness shape, make sure to be a part of CIFTIS-Sports 2014 by CSII. If you are looking to find the gateway to China’s profitable sports services industry, CIFTIS-Sports is the place for you.